A new sightseeing spot ‘Kiyamachi-kouji’ was opened in 2008. ‘Kiyamachi-kouji’ is located in a narrow street just behind of the street facing to ‘Gosho-no-yu’ independent public bathhouse in the center of Kinosaki Onsen. There are a public plaza ‘Sanjusanken-hiroba’ and 10 characteristic retail shops, such as vinegar sweets shop, Kinosaki egg pudding shop, ‘Tajima-beef’ sandwich shop, Ear care esthetic salon, and healing massage salon. Why don’t you drop in the new sightseeing spot while taking tour of seven ‘Sotoyu’ or independent bathhouses? In the new sightseeing spot ‘Kiyamachi-kouji’, characteristic 10 shops are running business. 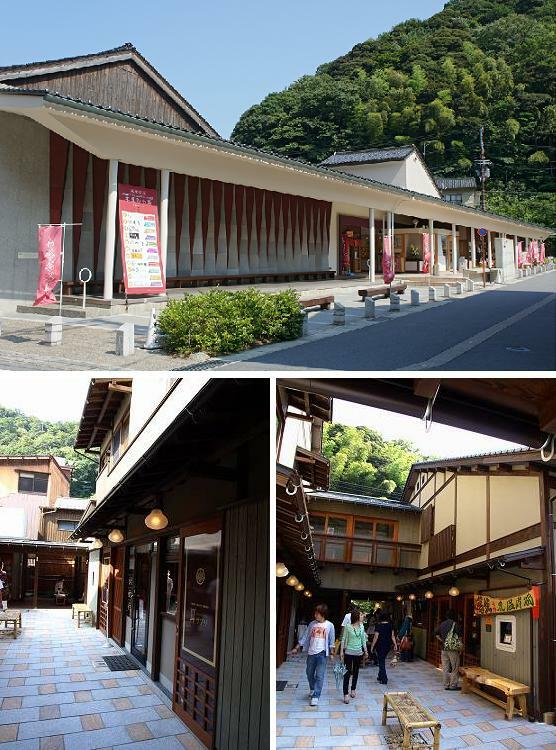 You must drop in and try to find souvenirs of Kinosaki Onsen or taste local food there. Kinosaki Vinegar proposes beautiful and healthy life based on vinegar. Unique vinegar shop provides your choice of various kinds of vinegar and drinks blended with vinegar. As well as selling drinkable vinegars, they also provide bars of beauty soap. You never miss the beautiful shop wholly fitted with glass windows faced to the entrance of ‘Kiyamachi-kouji’ which looks like a beauty parlor. ‘Kasha-pong-tei’ makes your miniature photo book when you bring memorial images taken while staying in Kinosaki Onsen. Your memorial photo book will be completed with in a week. A miniature photo book prices 3,000yen. If ordered more than two, 500yen is discounted per book. They also make original ‘Uchiwa’ or traditional Japanese flat paper fan printed with your favorite image. It takes only 15 minutes. ‘Umyamonya’ tries to cook their dishes with using local food materials. Fresh seafood is usually brought directly from Tsuiyama fishing port, and vegetable is from own farm. You may feel fullness after a meal, because of their large portions of menu items. Spit-barbecued ‘Tajima Beef’ or one of the brand beefs in Japan is served in reasonable price here. ‘Kushiya’ is very popular among visitors to Kinosaki Onsnen, including small children and elderly people. Special sauce for their barbecue is mainly blend soy sauce and salt. One bite of scalding hot ‘Tajima’ beef barbecue is delicious. ‘Genbudo’ is one of the leading ‘Okakiya’ or a sliced and dried rice cake shop that started business in Toyooka City in 1965. Home-made rice cake ‘Kinosaki Okaki’ are sold in the shop. Rice and ingredients are carefully chosen using as materials for ‘Kinosaki Okaki’. Varieties of ‘Kakimochi’ have been cooked by experienced workmen’s hand in traditional method, which have wonderful flavor of sticky rice. ‘Rin’ is a tea house which serves tasty Japanese style drinks, such as ‘Matcha’ (a cup of powdered green tea), ‘Matcha- latte’ (a cup of powdered green tea and steamed milk), ‘Hojicha-latte’ (a cup of green tea and steamed milk). They also serve wonderful Japanese sweets, such as special cookies made with ‘Kinako’ (soybean flour) and ‘Yuzu’ aromatic citron. Wooden finished interior of the tea house creates really warm atmosphere. Lovely incense pouches are also available. ‘Serve fresh cake everyday’ is the policy of ‘Pudding Kiman’, so they use only eggs produced in local farm for their puddings. All puddings in various kinds are really richly flavored of egg but leave rather simple agreeable aftertaste. ‘Kaisendo’ cooks seafood ‘Senbei ‘or a rice cracker mixed with seafood such as squid and shrimp, grilled after being seasoned with soy sauce. As well as their main products of various kinds of rice cakes, they also sell other interesting processing food, such as bottled soybean paste mixed with ‘Amaebi’ shrimps, and original ‘Nama-caramel’ made with fresh cream. 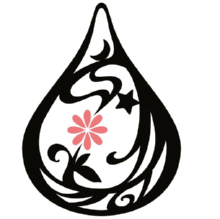 ‘Mimi Sapri’ is the first aesthetic salon specializing in ear treatment in Onsen resorts in Japan. The menu of ear treatment salon is: Ear cleaning- 2100yen/20minutes, Ear reflexology-2100yen/15minutes, Ear esthétique-3150yen/30minutes. It is a Japanese style healing parlor where reflexology, aromatherapy, and quick massages are treated. Charcoal goods are also sold. Works of charcoal artist Mr. Bonsai Tajima and charcoal related goods, such as wood vinegar and Bincho charcoal are on display with the exhibits on sale. Relax massage treated in the shop is 1500yen/15minutes.